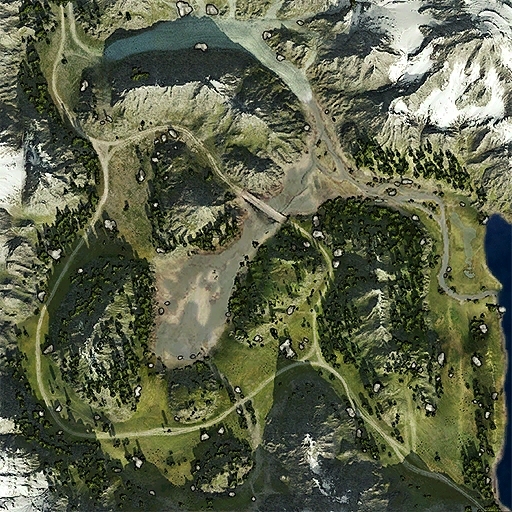 A large map with many turns and rough ground. The bridge near the center features natural choke points on both sides, and provides a good sniping position against opponents in the north passes if held. There are small positions for artillery near the bases, though artillery may have difficulty due to the terrain. Diese Seite wurde zuletzt am 26. März 2017 um 14:03 Uhr geändert.